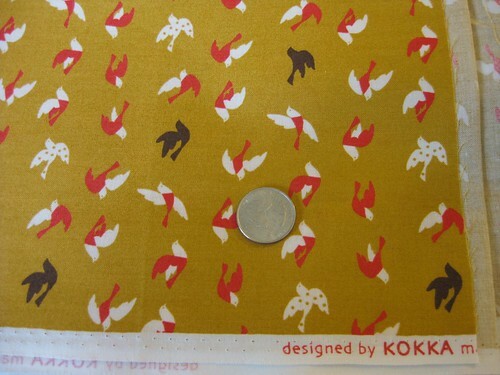 Oh wow such gorgeous fabrics – I particularly love the birdy one – so lovely. Lucky you! Suggestion for the narrow fabric – split it down the centre, stictch it into a long piece, back it with some lightweight silk and you have your scarf, the join will be at the back of your neck so no-one will see it! I agree with Fiona. Making the scarf this way will allow you to have the numbers right side up on each end of the scarf, too. You could back it with red or mustard colored silk – or split the lining as well! 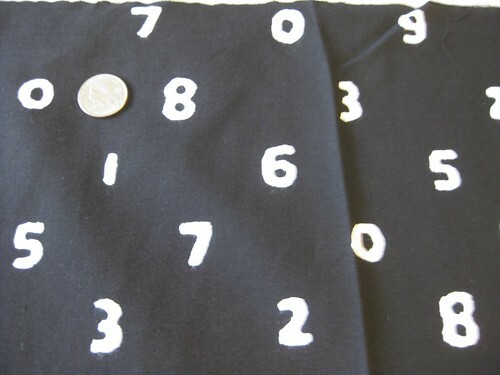 yeah I think the scarf would be great with the numeric fabric! And the birds are really cute – you are lucky you can wear mustard!! How about a headscarf out of that number fabric? 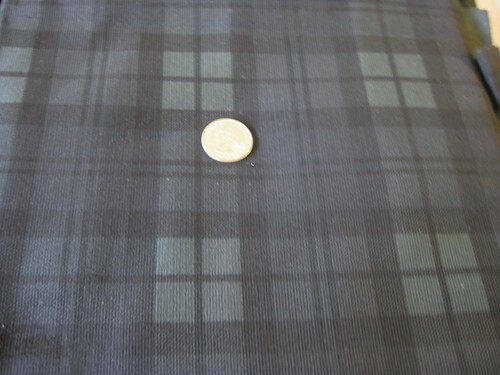 contrast details – pockets, yoke, collar, cuffs out of the numbers fabric? Very nice fabrics! 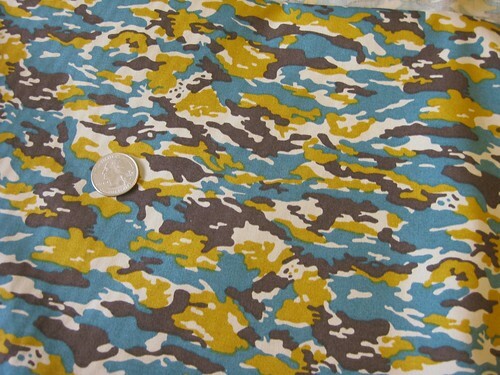 I like the blue and mustard camo. Wish to have it too. Great collection. I like mustard too but it is mean to me as well. The camo looks like rippling water, sun & shade, .. feminine … And I see a lot of determined movement in the cool VW print –- legs striding under a short-ish straight skirt. Nice trawl! Yes, the mustard/tomato red combination rocks. Inspired by your awesome new stash of fabric, I’ve added not breaking every sewing machine I’ve ever owned, learning how to sew, and shopping for fabric in Tokyo to my bucket list. 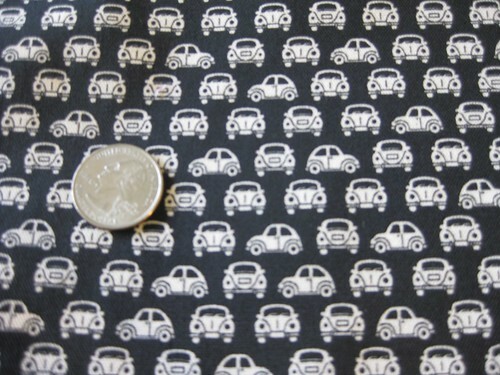 I like the idea of the number fabric as cuffs, but I think the print might be too sparse for that to work well. What about as the center element in a pieced bodice?